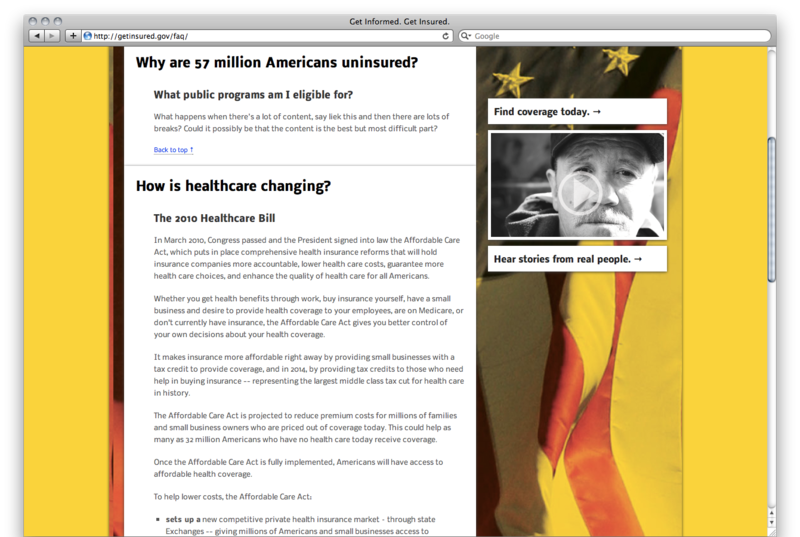 Kenneth Zinser - Get Informed. 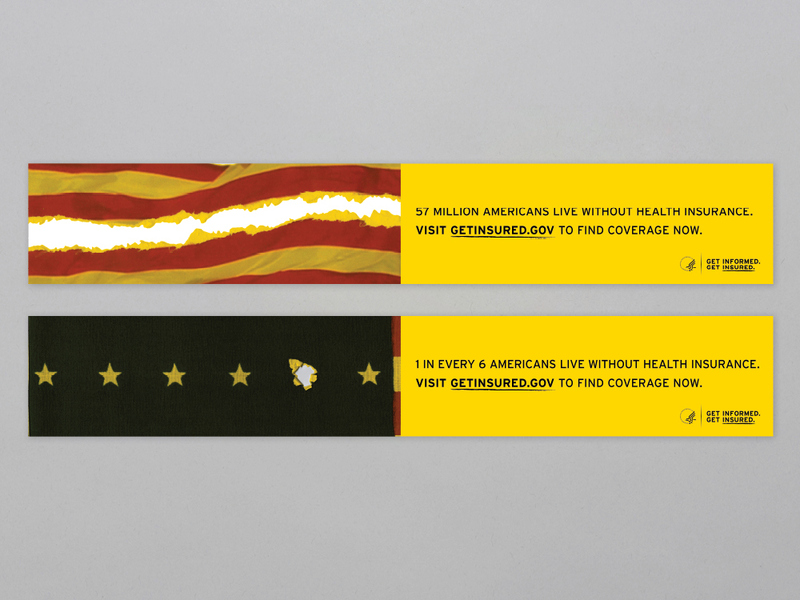 Get Insured. Get Informed. 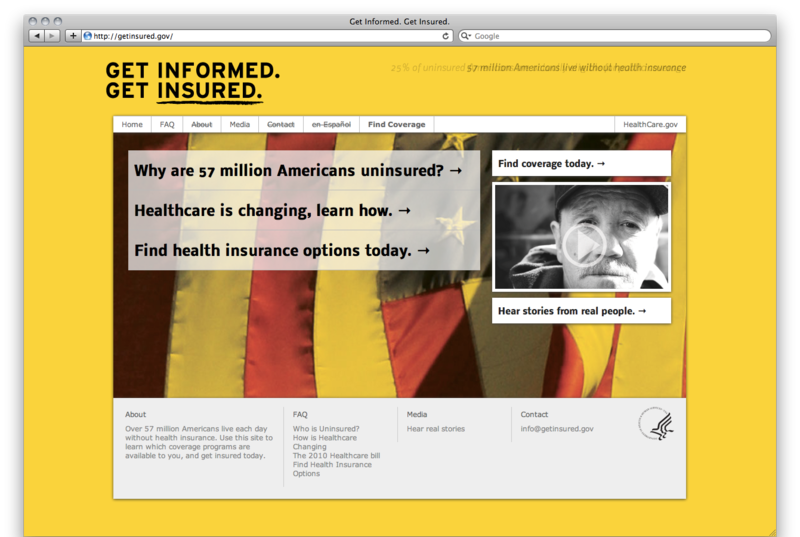 Get Insured. 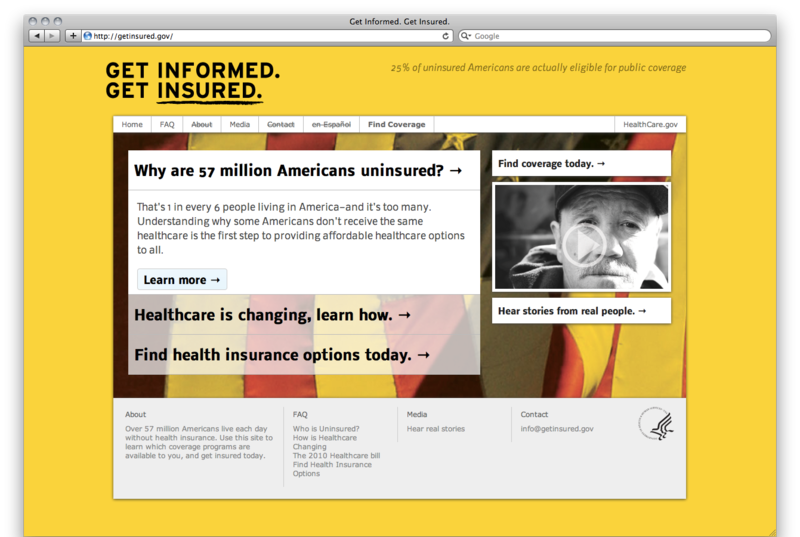 is a campaign to help the uninsured in America. 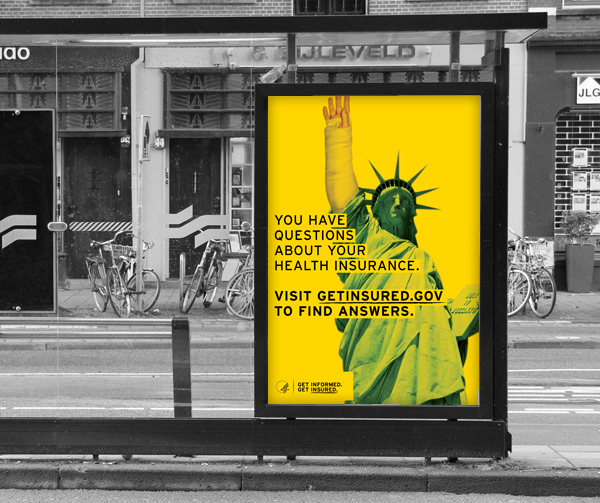 Over 57 million Americans are uninsured. The uninsured are more likely to suffer from negative effects related to injury and chronic disease because they can’t afford preventative care and necessary treatments. Get Informed. 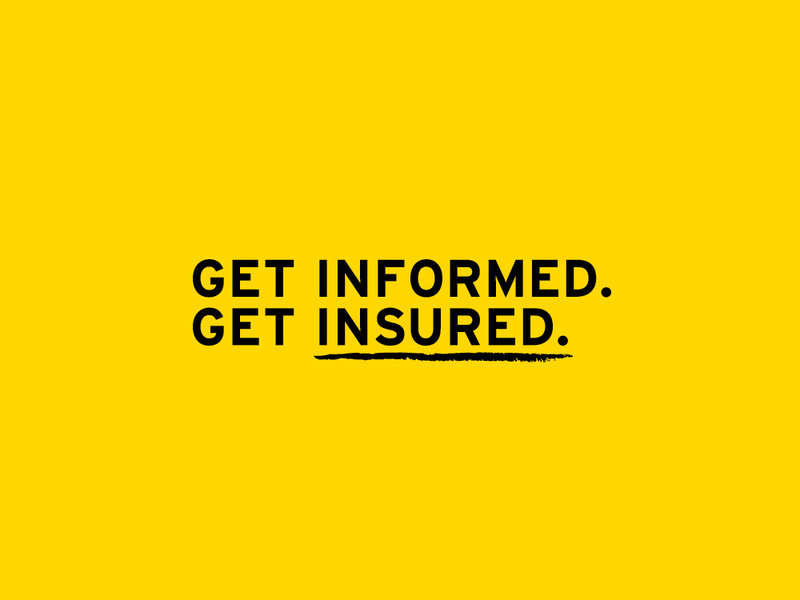 Get Insured. 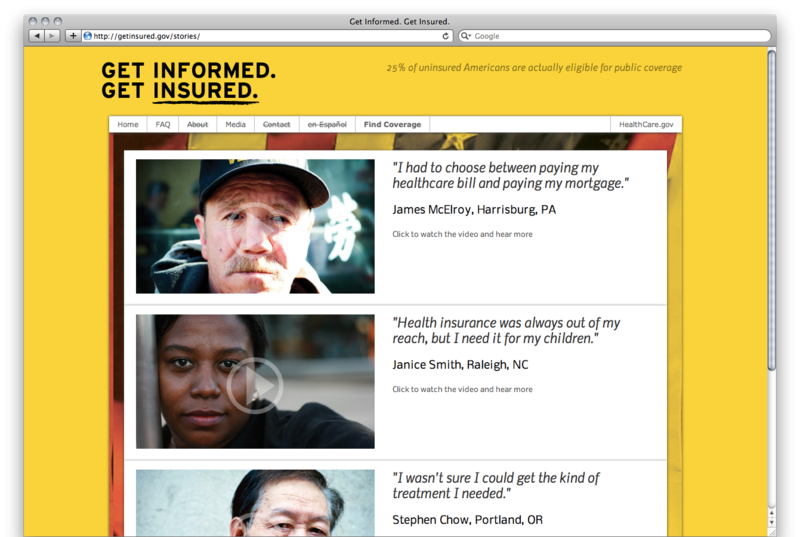 is a campaign to help the uninsured in America. By helping Americans understand the changing landscape of healthcare we can increase the number of those with access to coverage and reduce pressure on emergency rooms and physicians providing uncompensated care. 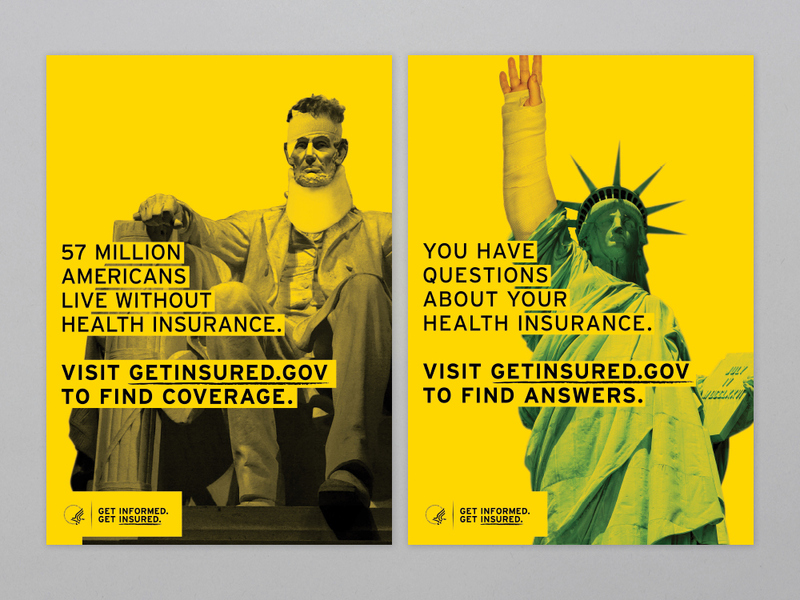 Campaign materials utilize iconic American imagery to communicate the widespread issues. 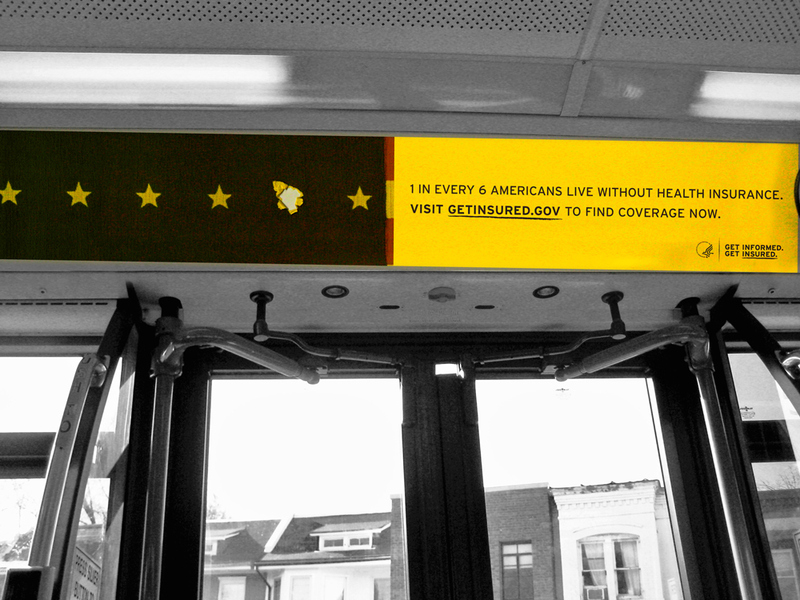 Signage is placed within transit systems to reach a large portion of the target audience. 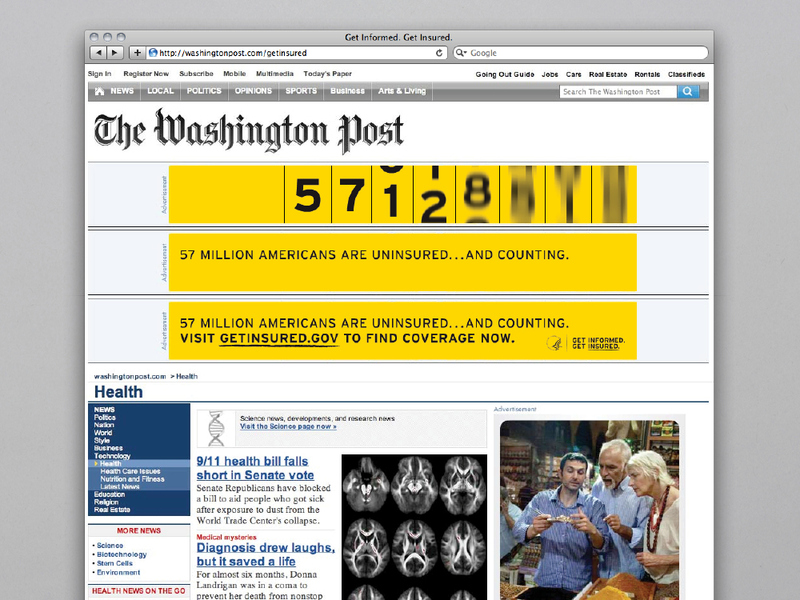 An online banner ad. See the animation here.